Today’s Zaman reported: Turkish police have raided two newspapers and a weekly magazine in the latest in a series of attempts to silence the critical media, with lawyers condemning the act as an “illegal raid” and another wave of media crackdown. Turkish court ordering a government takeover of a holding that houses critical media outlets Mondat resulted in protests for silencing the opposition days before the general elections according to local reports. The 5th Ankara Penal Court of Peace ordered the seizure of the management of the Holding on Monday; reports say. Protests by employees and supporters have resulted in the police using tear gas during the takeover. 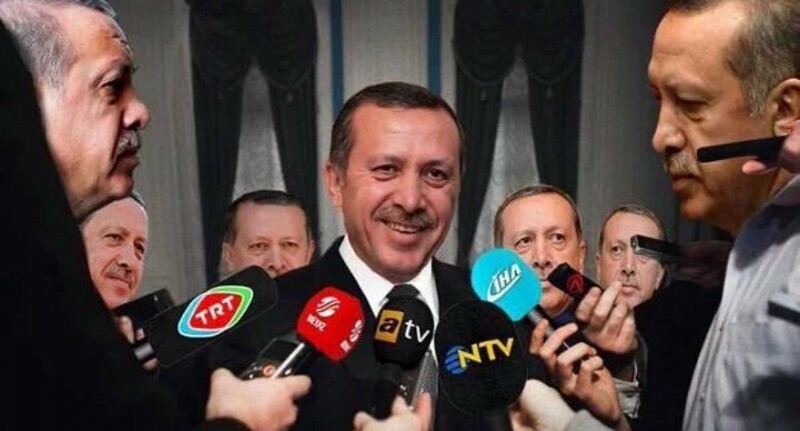 The opposition parties of Turkey, foreign officials, the Journalists Union and several press NGOs have protested the action; in consensus of the observation that this is a violation of press freedom. President Recep Tayyip Erdoğan’s former adviser and speechwriter; AKP Parliamentary Deputy Aydın Ünal said on live television that other critical media organs’ “turns will come” after the November 1 elections. The deputy said there is “pressure over Turkey” with the claim of “there is pressure against the press” currently, but he promised the voters that they will go after the dailies Sözcü, Cumhuriyet and other critical media after November 1. A British woman who was working as the Iraq director for the Institute of War and Peace Reporting (IWPR) has died in an Istanbul airport, the Foreign Office has confirmed. The Ankara 6th Criminal Court of Peace has lifted a five-day media ban on the deadly Oct. 10 Ankara bombing upon a request from the Ankara Chief Prosecutor’s Office; HDN reported. Pro-Kurdish News Agency JINHA reported that their correspondent Filiz Zeyrek was briefly “kidnapped” by the police in Seyhan District of Adana. The police did not detain the journalist but questioned her in a moving car for half an hour and took her pictures according to the report. The jpurnalist was let go after the intimidation attempt. Journalist Sedef Kabaş was acquitted of “menace” and “targeting public officials involved in counter-terrorism” charges due to her tweet about a Turkey prosecutor at the first hearing today. Suspects in the case into the beating of Hürriyet columnist Ahmet Hakan have confessed that a former police officer offered them 100,000 Turkish Liras to attack the journalist. Daily Zaman Chief Editor Ekrem Dumanlı resigned. Aydın Doğan, the founder and honorary chairman of Doğan Holding, has said that Turkey’s largest media group “does not have to be pro-government,” amid rising pressure and violence targeting the company and its workers. One suspect is arrested regarding the attack on journalist Ahmet Hakan. Three of the attackers were AKP members, now discharged. Pro-government journalist Cem Küçük, who has publicly threatened Hakan before, is going to be questioned by the prosecutors. President Recep Tayyip Erdoğan prior to setting out for France, Belgium, and Japan held a press news conference at the Atatürk Airport State Guesthouse. “My press agent called him. He expressed our thoughts on this matter and ‘get well’ wishes. We are against violence. Our attitude towards especially freedom of press as of our Prime Ministry term has always been evident. Hopefully all media organs display the same sensitivity and don’t say ‘help’ only when it happens to them. May they show the same sensitivity when it comes over the others too,” said Erdoğan as to the assault against Ahmet Hakan.